Flinders Medical Centre — Australia — implemented Lean over 2.5 years ago and has seen substantial benefit in the way they provide care and the amount of people they are now able to serve. They report safer and more accessible care — the two goals they had made prior to their Lean implementation. In this article, there’s no talk of time and motion studies in healthcare, but rather the simple implementation of Lean to improve patient flow. Similar to Lean at Virginia Medical Center and other Lean Healthcare stories, this article focuses on how Lean can be practically implemented. The article below was originally published in the Australian Health Review, February 2007. The authors are David I Ben-Tovim, Jane E Bassham, Denise Bolch, Margaret A Martin, et al. THIS PAPER DESCRIBES the introduction and early results of the Redesigning Care Program at the Flinders Medical Centre. Redesigning Care explicitly applies lean thinking to health care. Lean thinking is a codification of manufacturing techniques pioneered by the Toyota Motor Company. During a large scale analysis of motor manufacturers, the production processes developed by the Toyota Motor Company were identified as being so different from those of other large car-makers as to constitute a new manufacturing methodology, reified by the authors as lean thinking. Lean thinking is an attempt to correct the delays and wasteful re-duplications that characterise many mass production processes. The issues have remained essentially unchanged since Henry Ford developed the mass production methodology in the 1920’s. In order to produce large numbers of differing kinds of vehicles, Ford arranged his fabrication machinery into production villages dedicated to specific functions. The inevitable hiccups in production within and between production villages were managed by maintaining large buffers of parts at every stage in production. Variations in customer demand were managed by creating banks of finished goods that were forced on dealers (and which, when unsold, were moved by means of special promotions). 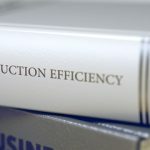 The costs of holding large amounts of unfinished goods were contained by reducing the cost per production step by any means possible, the buffer stocks managing any resultant delays in production. Nowadays, this may mean producing components in widely separated locations. Lean thinking facilitates moving from mass to flow production. 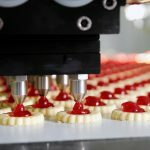 Flow production aims to dramatically decrease the time taken to produce goods by arranging the relevant machinery in process sequences, rapidly changing a machines working process to match changing process requirements so that goods can be made in response to customer demand rather than to a prearranged production schedule. Costs are contained by minimising buffer stocks, by rapidly identifying and avoiding wasteful errors in production, and by avoiding wasteful over-production and over-processing. 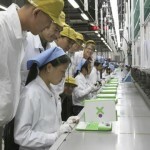 These latter steps also lead to dramatic improvements in the quality of the goods produced. The basic principles underlying the implementation of lean thinking are laid out in the Box. 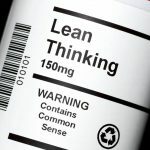 Interest is growing in the potential utility of lean thinking in health care where the need to improve the flow of patients through hospitals and health services is becoming increasingly urgent. Redesigning Care is using lean thinking to improve flow and reduce waste in core clinical and support services across a whole hospital. It is not, however, concerned with attempting to influence the professional content of clinical encounters. That is deemed to be outside the scope of the program, which is primarily concerned with flow and logistics. This case history may be of some interest to others seeking to transform their hospital or health service using similar methods. The Flinders Medical Centre is a 500-bed teaching general hospital in the southern suburbs of Adelaide. Flinders is a “cradle-to-grave” institution, providing a complete range of secondary and tertiary services to a population of around 300000. It is the largest member of a de-facto consortium of hospital and community health service providers that also includes a smaller general hospital and a community hospital. The Flinders Medical Centre is the primary regional provider of time urgent, complex care of all kinds. The Emergency Department is busy, seeing some 50 000 patients per year, of whom around 40% require hospital admission. By mid 2003, the Flinders Medical Centre Emergency Department had become so congested that patients were regularly overflowing into the nearby recovery area of the operating theatre suite, disrupting the work of both the Emergency Department and the Division of Surgery. Cancellations of elective work were pervasive, surgical training schemes were under scrutiny, the safety of care in the Emergency Department was becoming compromised, and high levels of staff turnover were undermining the viability of key clinical services. These difficulties had not arisen suddenly; nor were they a consequence of unusual levels of demand. Flinders was struggling to fulfil the predictable demands of the population served. The clinical staff at the Flinders Medical Centre are energetic and well motivated and had adopted standard practices to diminish congestion, but without sustained benefit. What was needed was to do something that the staff did not yet know how to do. The then-hospital board agreed to provide non-operational funds to support a program of hospital redesign, the exact nature of which was yet to be clarified. Two of us (DBT and MD) had started working with the Emergency Department staff analysing why safe and sustainable care was so hard to provide. Making little headway, we came across a description of process mapping on a National Health Service (NHS) Modernisation Agency website.6 In lean thinking terms, the process is the end-to-end sequence of steps required to transform a raw material to a finished product1 and process mapping is the name given to the creation of an end-to-end flow diagram of the steps involved. Taking the patient’s symptoms1 at the point of presentation as the “raw material” and the patients journey from arrival through to exit from the Emergency Department as the “product”, we resolved to map the steps involved in the patient journey through the Emergency Department. We gathered a large multidisciplinary group of Emergency Department staff and started to work our way through the journeys of patients who were either discharged directly from the Emergency Department, or who needed admitting to hospital. The care processes involved were described as the staff saw them. Several sessions were needed to document the steps involved in the patient journey through the department. The mapping sessions had a profound impact on all involved. They created a shared awareness of how chaotic the care processes had become, and generated support to change processes within the Emergency Department irrespective of what was being done elsewhere in the hospital. How exactly to do this was still not clear, and the search for an improvement model began in earnest. A small group of senior staff made a brief visit to London, hosted by the NHS Modernisation Agency (since dissolved). The itinerary included visits to a number of hospitals, and discussions with Modernisation Agency staff, one of whom also spent several days in Adelaide advising the hospital on the structure of an improvement program. The United Kingdom visit demonstrated that real changes could be made to the organisation of care within emergency departments, and that those changes could have a profound impact on congestion within those departments. Modernisation Agency staff also exposed the Flinders group to the concepts of lean thinking. Following the trip to the UK, the Director of the Emergency Department proposed a radical restructuring of the way patients flowed through the Emergency Department at the Flinders Medical Centre. The mapping had demonstrated that attempting to prioritise care by means of the Australasian Triage Scale, a five point measure of patient acuity, materially contributed to the complexity of patient allocations within the department. The staff were continually attempting to respond to the distress of patients who were “bumped” out of order from their place in the notional queue when a patient who arrived after them was seen before them because they were in a different triage category. Ad hoc and hard to manage strategies were being used to try to push patients through when the build-up of “bumped” patients became excessive. The new flows involved breaking away from using the triage score as a method for prioritising care within the department. Instead, patients would be assessed by a triage nurse who, while allocating a triage score, would also indicate whether in his or her judgment the patient was likely to be admitted to hospital or to return home directly from the department. Each stream of patients (likely to be discharged, likely to be admitted) was to be aligned with a separate team of nurses and doctors in specific areas of the department. In the absence of a threat to life and limb, patients were to be seen in order of arrival. Initially, this was only if they were likely to go home, but subsequently, the proposal was widened to include all adult patients. Staff received brief orientation to “streaming”, as the new processes came to be described, and it was initiated towards the end of November 2003. The impact was immediate. At the end of the first day, there was a discernible lessening of the chaos within the department, and this sense of increased control has continued. Streaming has been well supported by the staff and has been maintained continuously since its introduction. A clear indication of the increased acceptability of the care provided was the immediate halving of the numbers of patients leaving the department without completing their care. “Did-not-waits” as a percentage of arrivals fell from 7% of all arrivals to just over 3% and have been maintained at that level. Streaming also decreased congestion by decreasing the overall time patients spent in the department. The average time that patients spend in the department was reduced by 48 minutes in the first year after implementation (bringing the average time spent in the department from 5.7 hours down to 5 hours). The next year saw a 10% increase in the numbers of patients attending the department, but the decrease in average time in the department was not only maintained, it was further reduced by 6 minutes. The concepts behind streaming derive directly from lean thinking. The redesign began with the identification of “patient-care families”. Patientcare families are groups of patients whose care processes overall are sufficiently similar to each other, yet different from those required by other patient-care families, to be managed together. In this case, the patient-care families were “likely to go home”, and “likely to be admitted to hospital”. The sum of the steps needed to complete the journey of each patient-care family is known, in lean thinking terms, as the value stream. Mapping care processes from beginning to end allowed us to “see” patient care families and their value streams and to identify wasteful delays and reduplication along the journey. Lean thinking is focused on improving flow by simplifying production processes, lining up the steps in a value stream so that a steady production rhythm can be achieved. In the Emergency Department, reduction of waste and improvement in flow was achieved by creating production “cells” aligned with value streams. Each cell focused on a particular patient-care family and completed work as it arose rather than queuing patients and then treating them in batches. The early success of this intervention was sufficient to confirm the value of testing the application of lean thinking to core clinical and support services throughout the hospital. The program was called Redesigning Care, and the small team of a part-time director and three fulltime clinical facilitators (all senior nurses), supported by the senior managers in the hospital, set about increasing their knowledge of lean thinking and developing a structured approach to the implementation of lean thinking across the hospital. Initially, Redesigning Care programs were aligned with three broad streams of work (emergency, medical and surgical), each headed by a senior clinician and each with a sponsor from the senior hospital executive. Over time, the range expanded to include support services, mental health, and transition to community care. Specific programs of work are scoped as to the beginning and end of the patient (or other process) journeys involved, and a scoping document is agreed to by the key stakeholders. Process flow mapping and tracking of real-life patient journeys are then used to create a detailed picture of how the work is done now (the current state) and to generate acceptance of the need for change. A series of “plan-do-study-act” cycles are then initiated based on the improvement opportunities that “fall out” of the mapping process. The cycles are developed and undertaken by work groups of staff involved, with facilitator assistance. Targets are developed by the groups and are monitored continuously. Formal evaluations at designated points set the scene for the most difficult challenge of all: making change sustainable in the long run – making the new way the “way we do it round here”. Lean thinking concepts encourage health care providers to think about the patient journey from arrival to discharge as a complete care process rather than as a series of disconnected steps. As staff in hospitals and health services, we tend to be “point optimisers”, focusing on doing the work in front of us as best we can, ignoring the impact that changes to a step may have on the steps on either side. A clear example was provided early on in our redesign activities. We were mapping out the movement of patients through a large inpatient service when it became clear that patients treated within this service commonly spend at least half a day longer in hospital than necessary because they could not be discharged without a date for a crucial follow-up test in a hospital clinical laboratory. That laboratory was under such pressure to perform tests that it had put the funding for its receptionist against a new laboratory technician. The net result was that appointments could only be made when a laboratory staff member was free to pick up messages left on an answering system. Getting appointments was very difficult, leading to delays in discharging patients, which in turn increased congestion in the Emergency Department while newly arrived patients waited for a bed. From its inception, Redesigning Care was seen as a change program. Support for the program has been built by communicating the methodology and the results in many different ways. Important elements have been “lean thinking” days in which the basic concepts have been introduced to large numbers of staff. There is also a more intensive program of exposure to lean thinking of staff from designated areas who will be key participants in specific programs of work. By now, hundreds of staff across the hospital are involved in redesign activities of one form or another. A hospital is such a diverse entity that it may be hard to know where to begin a program of redesign. However, the pressures generated by the emergency care of patients were such that they had to be attended to. But a hospital is a dynamic entity. One patient cannot be admitted unless a previous patient has been discharged. Initial mapping within the medical and surgical streams indicated that care processes could commonly be separated out into those required by patients who would spend relatively short periods (up to 72 hours) in the hospital, and those required by longer staying patients. A short-stay medical-surgical ward of some 20 beds was developed for the majority of patients admitted as an emergency and predicted to spend a short time in hospital. This unit now accommodates around one in four patients admitted to the hospital. The staff in the medical and surgical wards no longer have to split their attention between the complex care needs of longer staying patients and the administrative and organisational tasks involved in moving patients rapidly through the hospital. The capacity gained by this development enabled the hospital’s small elective surgery program to return to full functioning. Surgical training schemes ceased to be under threat, building further support for the program. Importantly, the rate of serious adverse events reported to the hospital insurers has halved since the Redesigning Care program began, and the widespread take-up of clinical improvement programs across key clinical divisions has also been an important contributor to enhanced safety across the hospital. Other important Redesigning Care initiatives have included: redesigning the provision of medication at discharge, halving the time taken to provide that medication; substantial changes to bed management processes; and redesigning the flow of longer staying medical patients. The latter program has reduced the average length of stay in the large general medical service by around 1 day of stay. While it has not been the primary focus of the Redesigning Care program, in the current financial year the hospital is providing care sufficiently cost effectively to be able to direct modest savings from its operational budget into enhanced equipment replacement and staffing. This is the first time in many years that this has been possible. The Redesigning Care Program is a major change program and as such will inevitably come up against a wide variety of difficulties. One of the more thought provoking of these has been the challenge offered to existing middle and senior managers. In general, health care managers are chosen for their problem solving skills. The most successful excel at “fire-fighting” and enjoy the drama involved. But a basic maxim of lean thinking is not to start with a solution, but to go to the workplace, understand how the work is done and look for root causes of delays and other impediments to flow. There is therefore a tension between the somewhat painstaking, bottom-up approach employed by Redesigning Care, and the more usual “command and control” process adopted by health care managers who, once a problem has been identified, see their role as coming up with a solution that front-line staff then have to implement. Early closure and starting with a solution is not confined to hospital managers. It is pervasive at every level in the health system. Lean thinking requires managers to ensure that a decision gets made, rather than make every decision. Acting as a facilitator to decision making is not easy, and the temptation to regress to knee-jerk problem solving seems ever present. Patients are not cars, and providing good clinical care involves compassion and empathy as well as cognitive and organisational skills. Acknowledging that, it is still possible to conceptualise patient journeys as lengthy sequences of specific transformative steps strung along de-facto production lines spread throughout hospitals and health services. Lean thinking is not about influencing the content of those moments when patients and staff are in contact. It is about giving more time for those moments, making them easier to perform and less prone to error, by simplifying sequences, making what has to be done more transparent, removing re-duplicative and unnecessary steps, and making hard-to-perform steps easier to get right. At an operational level, health care processes are almost never designed end-to-end. They evolve slowly, each component evolving within its own niche or process village, and without necessarily taking account of the impact on steps up and down the line. The Flinders Medical Centre has been using lean thinking to make a start on designing whole sequences of care – not simply to provide the care that is right, but right first time, for the right patient, at the right place, and at the right time. As we do so, the size of the challenge and the potential benefits of success become clear. Redesigning Care has made a start, and it is only a start, on this important task. As a physician, I remain committed to creating a free site and service so that people of any age and any economic status can participate. The free service helps people through the often-tedious process of creating a very valuable, and potentially life saving tool, the personal health record. We are committed to simplifying this process, giving people, seniors, adults, children, particularly with a history of at least one chronic medical disease, on multiple medications, or with a history of allergies access to a system that can help save their lives. Doctors need to have access to reliable information that is legible and accessible and PassportMD provides this needed function. Medical Mistakes are common, hospital errors are responsible for over 100,000 deaths per year and these could be preventable. Information about drug interactions and cross reactivity combined with allergy alerts lead the way in being critical to every healthcare provider before initiating care. At my company we have created a very easy way to solicit this information from individuals and host it so that they may access it or print it off in times of need at no charge and as often as they would like. Scenarios where this type of service makes the most sense is baby boomers that are responsible for managing their elderly parents’ medical care and doctors’ visits, or seniors that live alone or are responsible for managing their own care and visits to their doctors. Or, “snowbirds” that share many doctors between more than one state would benefit. Alternatively, children, before they go to summer camp, if they have an allergy or take chronic medications for chronic problems. Anyone with any chronic disease, diabetes, hypertension, heart disease, for example would benefit from the free service. Additionally, active, healthy individuals that are pro-active with their health in preparation for unexpected and unpredictable medical problems would benefit. People that travel frequently, cruise to the islands, or boat, would be especially susceptible to medical emergencies without their accurate medical history. The doctors are very slowly adopting electronic health records. This adoption is way too slow and is very complicated. It has many factors in play as it relates to the economics of medicine. Although privacy is considered an issue, the true issue is cost, implementation and maintanence costs to the physician practice are too burdensome in light of decreasing reimbursement. Thus, only 7.5 % of physician practices are currently adopting electronic health records. Though, if you poll the remaining 92.5% of physicians, probably all would agree that electronic health records are better for medicine and for the patient. Adoption is inevitable but the pace and time period for adoption is dependent upon many factors.